Missa solmenis brevis by Johann Ernst Eberlin (1702-1762). Edited by Wolfgang Furlinger. For Soli SATB, SATB Choir, 2 Trumpets, Timpani, 2 Violins, Viola, Basso continuo. Score available separately - see item CA.9103300. 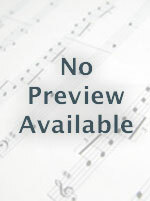 Masses, Latin, Missa brevis, Latin; Coppenrath Series: South German Church Music of the Baroque. Part: Basso continuo. Language: Latin. 8 pages. Published by Carus Verlag (CA.9103312). With Language: Latin. 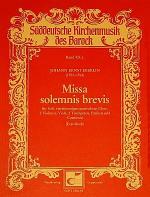 Masses, Latin, Missa brevis, Latin; Coppenrath Series: South German Church Music of the Baroque.